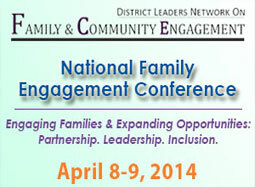 Teaching for Change has been invited to present at the National Family and Community Engagement Conference. We will be leading a session called Professional Development for Family Engagement Practitioners. In this interactive session, participants will learn time-tested approaches from Teaching for Change’s Tellin’ Stories Project to: (1) help teachers and administrators rethink their assumptions about parent involvement and why traditional approaches are often unsuccessful, including challenging deficit perspectives based on race, class, and national origin; and (2) adopt new approaches to parent-school relations so that there is a level playing field. This will include activities for recruitment, community building, creating engaging parent meetings, parents as presenters, shifting power dynamics in grade level dialogues and parent-principal meetings, bilingual meetings, and assessment. Strategies will address pre-service and in-service teacher professional knowledge, skills, and dispositions for family engagement. We’ll be presenting on Tuesday, April 8 from 3:15 – 4:45pm. The Institute for Educational Leadership is hosting a national conference on Family and Community Engagement in conjuction with the Coalition for Community Schools National Forum. Focusing on the intersection between family engagement and educational equity, this conference will bring together various networks of educators, parent advocates, community organizers, students and others concerned with enhancing and expanding opportunities for ALL children and families and strengthening partnerships to improve engagement at all levels.